Chicagoans can start signing up today for health insurance through the Affordable Care Act signed into law by President Obama. This year’s open enrollment period for 2018 coverage is shorter, running from Nov. 1 to Dec. 15, so now is the time to sign up for health insurance if you don’t have insurance through your job or aren’t covered under Medicaid or Medicare. To see the individual plans available in Illinois, go to www.getcoveredillinois.gov. The website is updated, so you can look at all individual plans that are both on and off the exchange. You can also call licensed agents at (866) 311-1119 Monday through Friday from 7 a.m. to 8 p.m. except Thanksgiving Day, and Saturday and Sunday from 8 a.m. to 6 p.m. Cost should not be the only factor when selecting a plan. For example, look at a plan’s provider network by visiting getcoveredillinois.gov, which lets consumers search by ZIP code to find free local help available in Spanish and English. Consumers can also use the “connector” to schedule in-person assistance appointments with navigators and certified application counselors. Throughout open enrollment, there will also be in-person assistance from licensed navigators available at numerous places, including the James R. Thompson Center in Downtown Chicago. You can also try your doctor’s office. Many West Side local community health centers and hospitals also have people who can help you sign up for insurance. For those covered by Medicaid, there are some changes for some Illinois patients. Some managed care organizations will no longer be operating next year, so you may be getting a letter soon regarding what your options will be to change to another plan. Make sure to confirm your doctor takes your Medicaid managed care insurance. 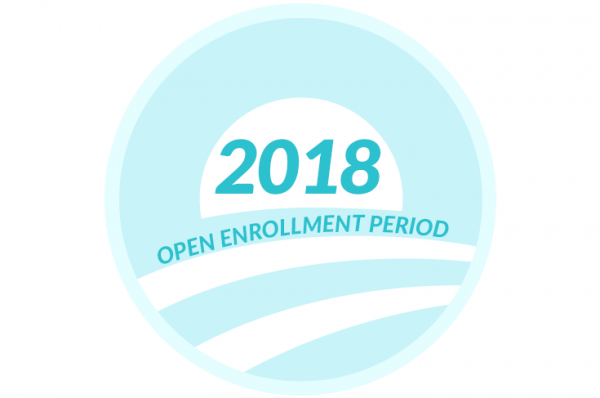 For those covered under Medicare, this is open enrollment time, too; sign up for 2018 coverage began Oct. 15 and runs through Dec. 7. During open enrollment, eligible adults can adjust Medicare Advantage or Medicare prescription drug coverage; move from original Medicare to a Medicare Advantage plan – or vice versa; switch between Medicare Advantage plans; join a Medicare Prescription Drug Plan; or switch or drop existing drug plans. The Illinois Department on Aging’s (IDoA) Senior Health Insurance Program (SHIP) is reminding seniors of the free counseling assistance available to Medicare-eligible individuals and their caregivers. SHIP counselors help seniors and people with disabilities make the best choices for their individual situation. Contact SHIP by calling (800) 252-8966 week days 8:30 a.m. to 5 p.m.
To compare 2018 drug and health plans on your own and to find out more about Medicare options, including preventive services now covered, visit the federal website, at www.medicare.gov or call (800) 633-4227. Medicare phone lines are open 24/7. Enrollment ends Friday, Dec. 15 if you need coverage. You can enroll online and call for help, too.